Property Rentals in Scotland United Kingdom Holiday Homes for your holidays. 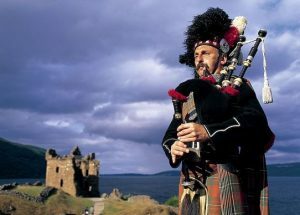 Scotland, a land with a great history and scenic landscapes. Thousands of acres of green stretch from the ragged coastline up hill to be replaced by scenic mountains, lakes, castles and churches. Scotland’s tourism industry is flourishing and still developing to the fullest.Scotland is part of Great Britain. Irish Vacations Property Rentals in Northern Ireland United Kingdom Holiday Homes for your holidays, such as Luxury cottage on shores of picturesque Lough Erne. Northern Ireland is part of Great Britain. Lonely Planet Great Britain‘s Best Trips (Travel Guide). Discover the freedom of open roads while touring Great Britain with Lonely Planet’s Great Britain’s Best Trips, your passport to up-to-date advice on uniquely encountering Great Britain by car. Featuring 36 amazing road trips, from 2-day escapes to 2-week adventures, you can discover the grandeur of Scotland’s mountains and wind through England’s quaint country lanes, all with your trusted travel companion. Get to Great Britain, rent a car, and hit the road! UK Counties and Rule Britannia Song. A group of islands close to continental Europe, the British Isles have been subject to many invasions and migrations, especially from Scandinavia and the continent, including Roman occupation for several centuries. Contemporary Britons are descended mainly from the varied ethnic stocks that settled there before the 11th century. The pre-Celtic, Celtic, Roman, Anglo-Saxon, and Norse influences were blended in Britain under the Normans, Scandinavian Vikings who had lived in Northern France. Although Celtic languages persist in Wales, Scotland, and Northern Ireland, the predominant language is English, which is primarily a blend of Anglo-Saxon and Norman French. Communications: The international country dialing code for UK is +44. The outgoing code is 00, or 048 for Northern Ireland, followed by the relevant country code (e.g. 001 for the United States). There are a wide range of city/area codes in use. Mobile phones work throughout the country; the network operators use GSM 1800 networks, which may not be compatible with some dual-band US cell phones. Internet cafes are available in major towns and cities, train stations and airports. Duty Free: When arriving from a non-EU country, travelers can bring the following goodsÂ into the UK tax or duty free: 200 cigarettes, 100 cigarillos, 50 cigars or 250g of tobacco, 4 liters of still table wine, 16 liters of beer, 1 liter of spirits or strong liqueurs or 2 liters of fortified wine, sparkling wine or other alcoholic beverages of less than 22 per cent volume, Â£340 worth of all other goods including perfume and souvenirs. When traveling from another EU country to the UK visitors do not have to pay tax or duty on goods purchased in said EU country provided tax was included in the purchase price, the items are for personal use and have been transported to the UK by the visitor, and do not exceed 3200 cigarettes, 400 cigarillos, 200 cigars, 3 kg of smoking tobacco, 110 liters of beer, 10 liters of spirits, 90 liters of wine and 20 liters of fortified wine. Note: Visitors arriving from Estonia may carry 200 cigarettes or 250g of smoking tobacco and those traveling fromÂ Bulgaria, Hungary, Latvia, Lithuania, Poland, Romania and SlovakiaÂ may bringÂ 200 cigarettes. British High Commission, Canberra, Australia: +61 (0)2 6270 6666. 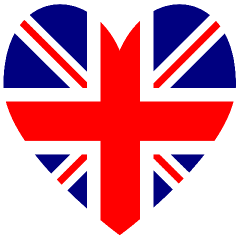 British High Commission, Pretoria, South Africa: +27 (0)12 421 7500. British Embassy, Dublin, Ireland: +353 (0)1 205 3700. British High Commission, Wellington, New Zealand: +64 (0)4 924 2888. United States Embassy, London: +44 (0)20 7499 9000. Canadian High Commission, London: +44 (0)20 7258 6600. Australian High Commission, London: +44 (0)20 7379 4334. South African High Commission, London: +44 (0)20 7451 7299. Irish Embassy, London: +44 (0)20 7235 2171. New Zealand High Commission, London: +44 (0)20 7930 8422. Take A Break Holidays takeabreakholidays, Great Britain Accommodation.